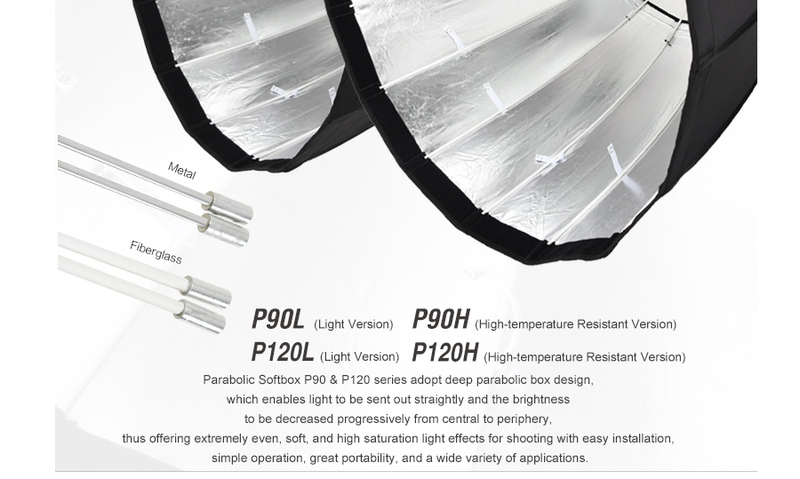 Ideal for portraits or fashion, the P120HE Parabolic High Temperature Resistant Softbox from Godox is a 16-sided light-shaper that offers focused, soft output with a punchy, crisp edge that lends dimension and detail to your subject as well as natural-looking catchlights in their eyes. 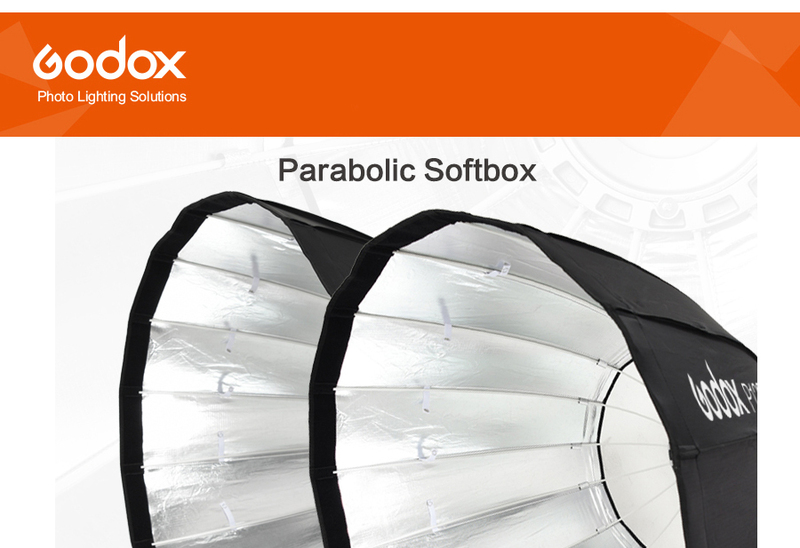 Parabolic Softbox P120 series adopt deep parabolic box design,which enable light to be sent out straightly and the brightness to be decreased progressively from central to periphery, thus offering extremely even,soft,and high saturation light effects for shooting with easy installation, simple operation,great portability,and a wide variety of applications. 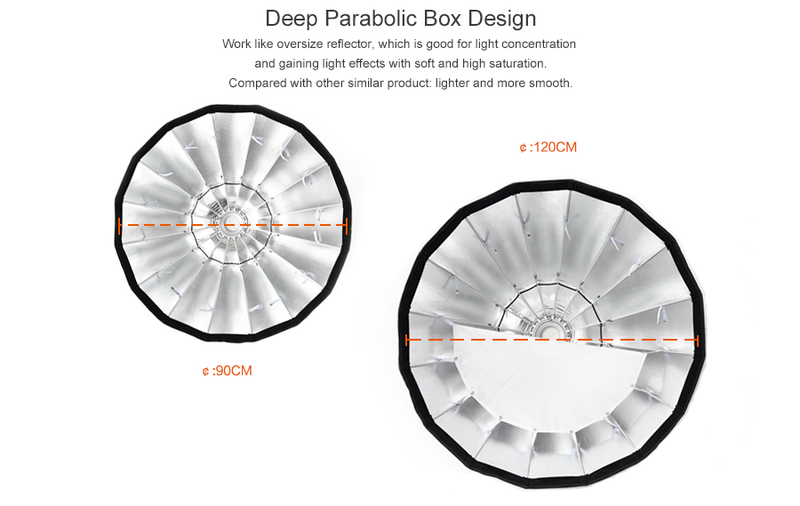 Deep parabolic Box Design: Work like oversize reflector,which is good for light concentration and gaining light effects with soft and high saturation. 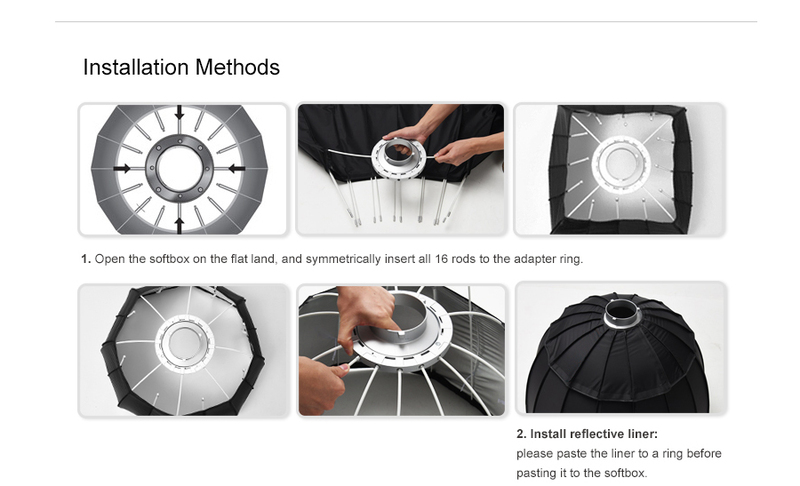 Compared with other similar product: lighter and more smooth. 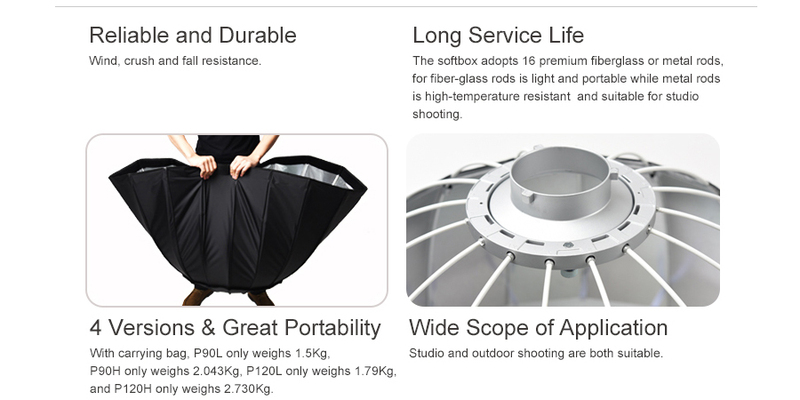 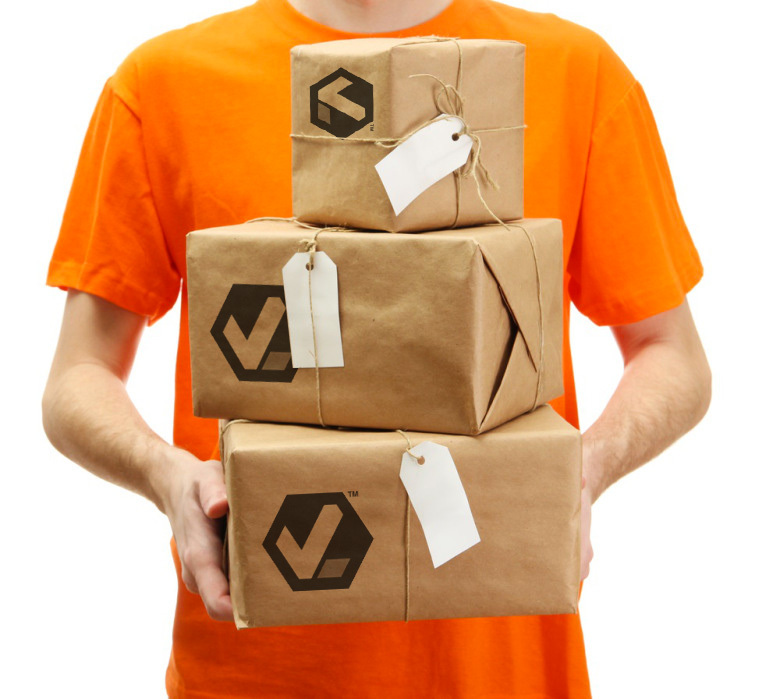 Reliable and Durable: Wind,crush and fall resistance. 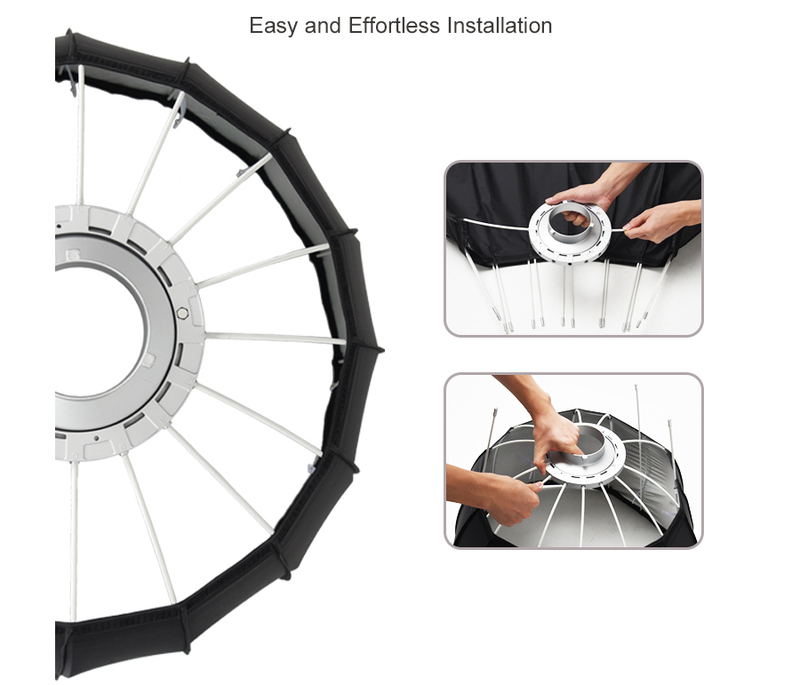 Size Diameter: 120cm / 47"
Depth: 74.2 cm / 29.2"
You're reviewing:Godox P120HE Parabolic Softbox - Elinchrom / 120cm / 47"
A light source with Elinchrom mount is required to use this product.